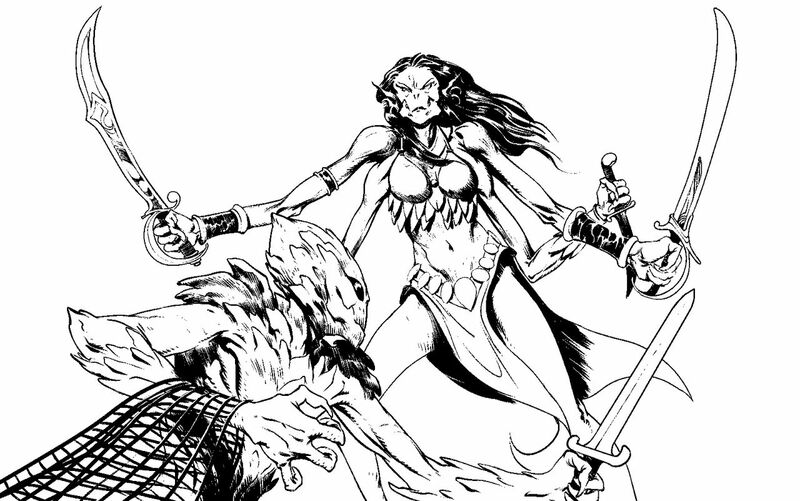 Above you can see two of the sentient species in Cavaliers of Mars, illustrated in lovely b&w line-art by the multi-styled talent of Andrew Trabbold. That was a decision we made a couple of years ago, actually: to have all the interior art in Cavs by rendered line-art. The style works just right as it references both the old pulp-era illustrations and the early art in the tabletop RPG hobby. Is going black and white line-art going to alienate current day gamers who are used to and demand full-color interior art? 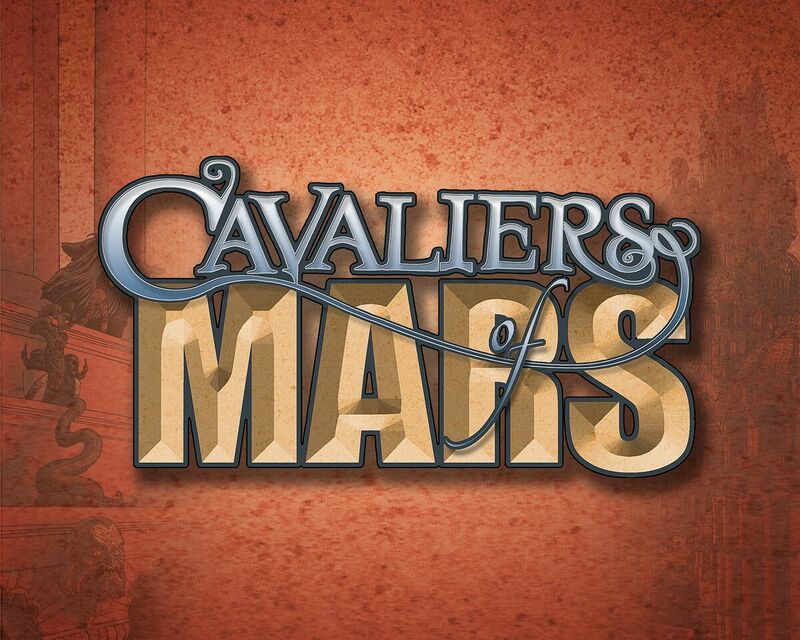 Well, it probably does limit the appeal of Cavaliers of Mars in terms of a more broad-based audience, but we knew that would happen with this sort of game anyway. When Rose and I first started throwing ideas at each other the Gen Con after she pitched me the “canals/Venice” line, as explained last week, we were kind of brainstorming, kind of riffing off each others’ ideas. It became clear to me as the ideas started clicking together organically, that Rose had a very specific vision that she wanted to give full reign to rather than holding back for “business” reasons. For me, I tend to think of games like Cavs as beautiful jewel-boxes where every design decision is made to reinforce the overall feel and themes of the game. The world, the rules, the system, the visuals – all given consideration as an intrinsic piece of the whole. This was a huge part of the appeal to me for publishing Cavaliers of Mars. If you look at Scion or the Trinity Continuum, they are designed to enable a lot of access points and ways to play, with built-in ways we can further expand the game to appeal to more people. (WoD, CofD, and Exalted, are also designed to “go big”). I like that Onyx Path can publish Cavs, apply our high production values as always, and help Rose create the focused game she imagined. 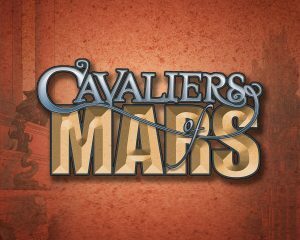 As we have done before, you can check out whether that approach to Cavaliers of Mars works for you by reading the KS page and the ongoing Updates, or by backing the project and you can read the complete text via a link in Backer Update #1. 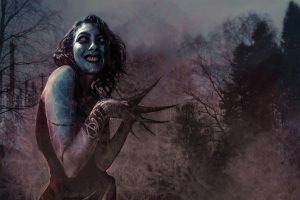 Besides discovering our jewel-box of a game, backers of the Cavaliers of Mars Kickstarter also discovered the newest member of the Onyx Path team in the person of our Kickstarter runner, Jammin’ James Bell, when they read their first Update. James will gradually be taking on more and more of the extremely varied responsibilities of running our Kickstarters – which is a huge weight off my shoulders and greatly appreciated! Since James is entirely focused on our Kickstarters, we’re looking forward to his many years of customer service and business management experience to really pay off for our backers. Hiring on James was one of the awesome things to come out of GenCon this year, much as with bringing Fast Eddy Webb on full-time as announced last month. I was really busy finalizing a lot of ideas for improving Onyx that we had been putting together all through the year, and we have a bunch more of them to reveal in the months to come. Now, this announcement didn’t really come out of GenCon, but Steve Wieck and I did discuss a bit what was the best way to handle the Scarred Lands game-line with the passing of Stew Wieck. It was after the con that I tendered an offer to purchase Nocturnal Media‘s half of the rights, and last week that offer was accepted. Onyx Path now owns Scarred Lands outright, and we are all absolutely thrilled to be able to continue to create new projects for one of the very best settings to come out of the d20 days. Onyx and Nocturnal are still linked together to fulfill the SL Kickstarter, but after that is all achieved, we’ll be moving forward into the Scarred Lands based on the plans I was developing with Stew, but on our own. If you check it out, let us know what you think and we’ll pass your feedback on to the Geek & Sundry folks! We’re delighted to announce the opening of our ebook store on Amazon! 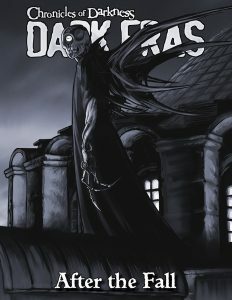 You can now read our fiction from the comfort and convenience of your Kindle. Our initial selection includes these fiction anthologies: Vampire: the Masquerade‘s Endless Ages, Werewolf: The Apocalypse 20th Anniversary Edition‘s Rites of Renown: When Will You Rage 2, Mage: The Ascension 20th Anniversary Edition‘s Truth Beyond Paradox, Chronicles of Darkness‘ God Machine Chronicle, Mummy: The Curse‘s Curse of the Blue Nile, and Beast: The Primordial‘s The Primordial Feast! And now you can get these books in the Barnes and Noble Nook store too! 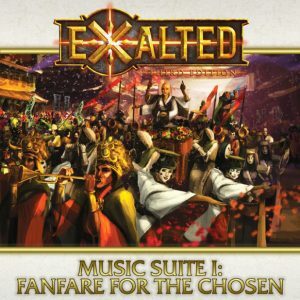 EX3 Music Suite #1: Fanfare for the Chosen sounds off long and proud on DTRPG on Wednesday! 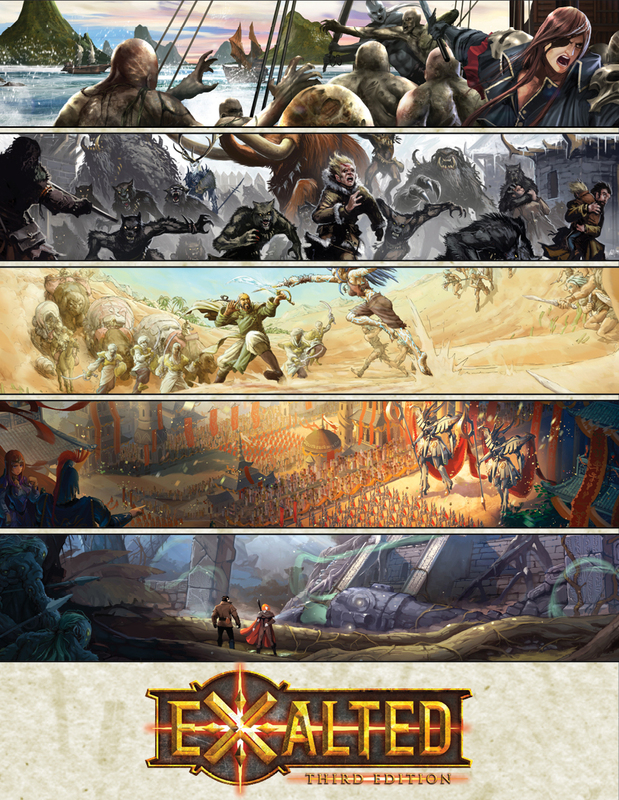 We’re also releasing the five EX3 Electronic Wallpapers only previously available to EX3 Kickstarter backers on DTRPG on Wednesday! And you completely underline this Exalted day: our monthly dose of creatures from the Thousand Devils Night Parade will also be releasing! 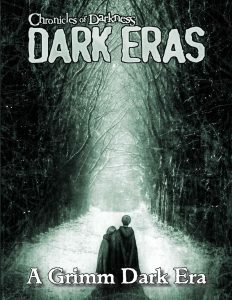 From the massive Chronicles of Darkness: Dark Eras main book, we have pulled this single chapter, Dark Eras: After the Fall (Demon: The Descent Constantinople 1453-1458). The Ottoman conquest shatters Constantinople…and also the God-Machine’s grip on it. Unchained flock from all over the world to seek their fortunes in rebuilding the city. But is the Machine really gone, and if it is, can the Unchained face the horrors it drove into the shadows? From the massive Chronicles of Darkness: Dark Eras main book, we have pulled this single chapter, Dark Eras: A Grimm Dark Era (Changeling: The Lost Grimm’s Tales). With the publication of Grimm’s Fairy Tales, the Lost find themselves subject to the strength of stories, to a degree never before seen. As numerous stories reach greater audiences, the power of tales redefine what it means to be a changeling. Here, we explore a shift in the veil between fiction and reality, and find changelings who escaped by embracing the odd rules of the fantastic. 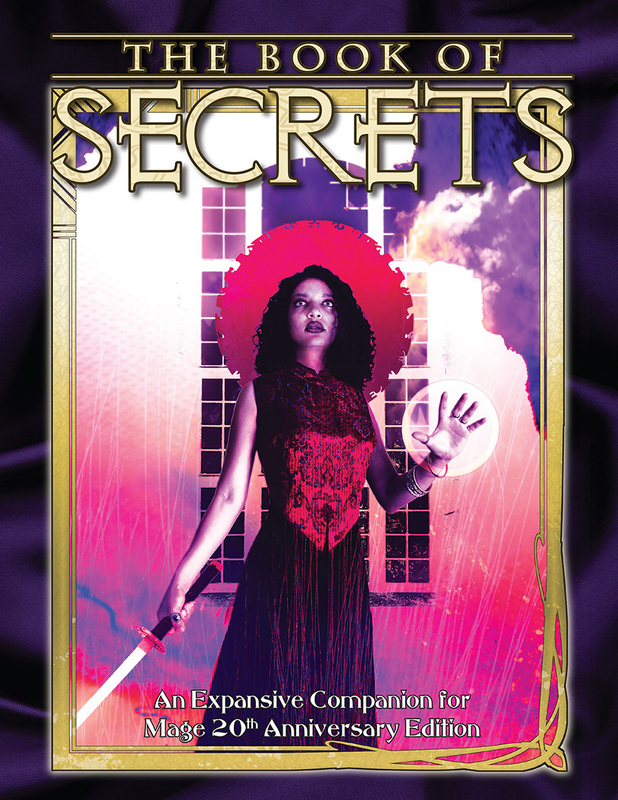 On sale in PDF and physical copy PoD versions on DTRPG! W20 Pentex Employee Indoctrination Handbook – Art at WW for approval. DtD Enemy Action – AD’d… contracts and notes sent out. C20 RMCs – Finished with sketches. Prince’s Gambit – Remaining art is arting. Beckett’s Jyhad Diary – Layouting. M20 Cookbook – Working on it after Beckett is done. VDA Jumpstart – At WW for approval. 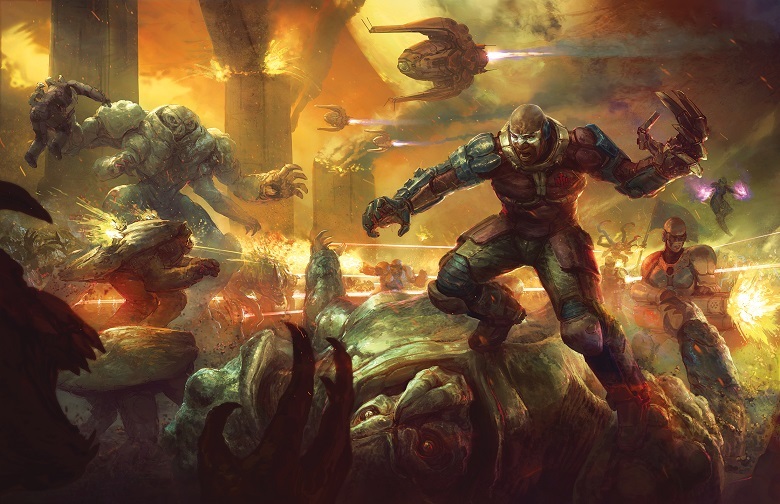 Ex 3 Arms of the Chosen – 1st proof. Becket’s Jyhad Diary – First half proofing with Dawkins. 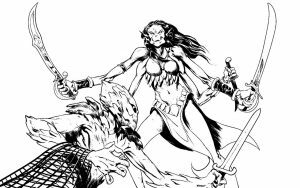 Scarred Land PGs & Wise and the Wicked PF & 5e – On a boat to the US. PoD files processing (see above). Dark Eras: God’s Own Country – PoD proof on the way. 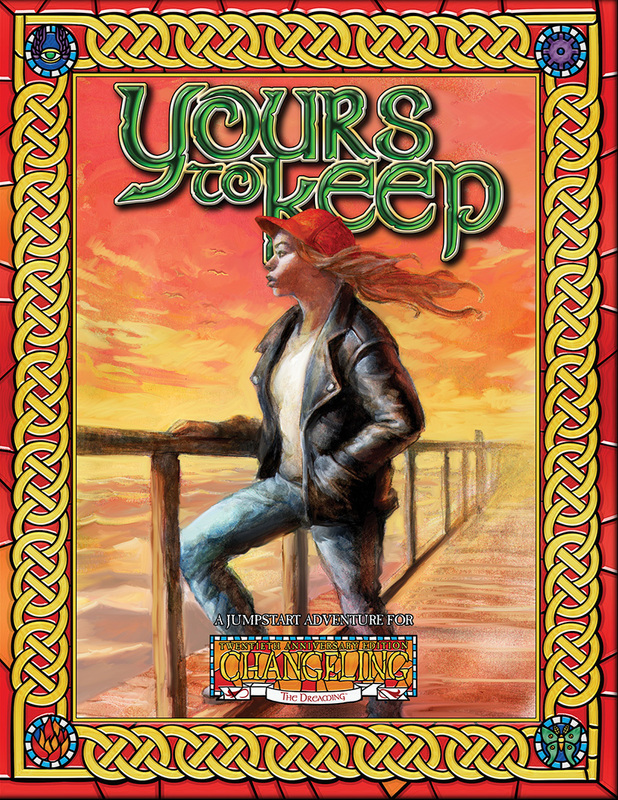 VTR: Thousand Years of Night – Errors discovered at GenCon, getting fixed. C20 Jumpstart PDF – PDF and PoD versions on sale this Wednesday! Art of Mage – Prepping for PoD this week. Exalted 3rd Music Suite #1 – On sale this week. TODAY’S REASON TO CELEBRATE: A couple of days ago, our friend Murray the pug, inspiration for Pugmire and Eddy Webb’s very good dog, passed away suddenly. Let us salute and celebrate his life, and the long shadow cast by a very little guy. ◀ Now Available: The C20 Jumpstart is Yours to Keep! Good to see Arms moving forward. What is next after this first proof is done. Will it go into a second proof or will it go to art then WW for approval so the Advanced version will be release to crowd source the remaining proofing? There will be a second proof. Sometimes there are also third or fourth proofs, but always a minimum of two. 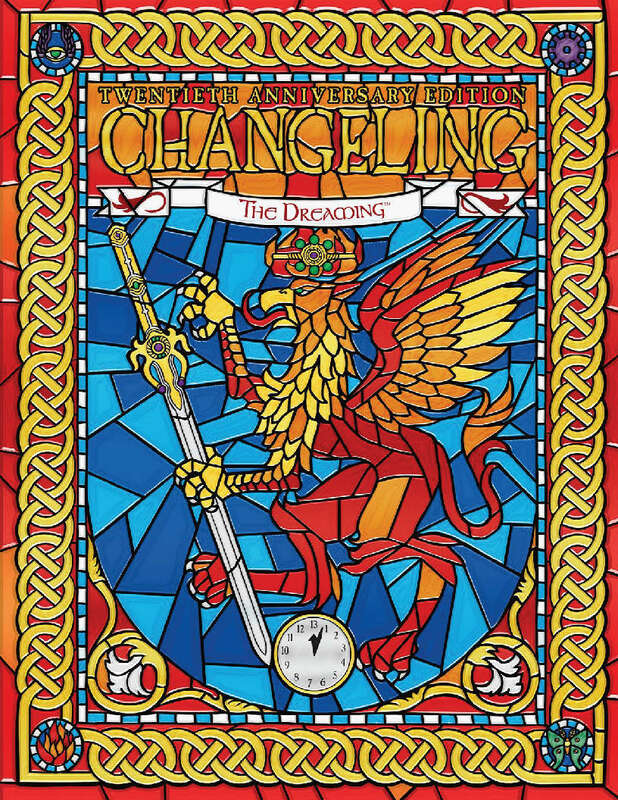 What can you tell us abou tokens in the new edition of changeling. I just want to give my condolences to Eddy on the passing of Murray. As a devoted dog-lover, and a former pug custodian myself, I know how difficult it is to lose a wonderful dog. Stay strong, Eddy. I believe I remember Murray from the St. Louis apartment. My condolences, Eddy. Are we close to seeing a release date for Scion 2nd Edition? Onyx Path doesn’t do release dates; it’s why we post the current production status of all our projects. As you can see above, both are in the development stage, but only Scion Origin has entered art direction, so they both have a while to go yet. Should we expect a year to wait from now for Scion instead of, I quote, “weeks or months but won’t be a year (since May 2017)? No, that would be highly unlikely. Although I wish the circumstances were better, congrats(?) on adding Scarred Lands to OPP’s list of owned IPs. 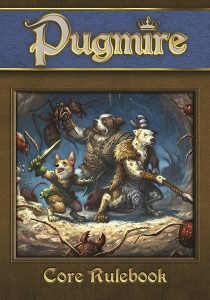 WotC has really left me hanging as far as settings for 5e and OPP never fails to deliver quality products so I’m excited to see where this goes. Thanks so much! Yes, even with the whooo, we own another great game line aspect, I still wish it was something I could work on with Stewart. But, we can’t change the situation. We’re really looking forward to some of the projects for SL that we’ve been discussing- including getting more of a presence on the online gaming sites. 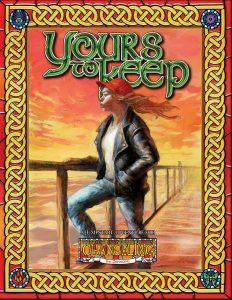 A question/thought that just occurred to me: now that OPP owns the Scarred Lands IP, will we be seeing the original 3.x Scarred Lands books as PoD titles? Potentially, although updated books like The Wise and the Wicked are also possible. 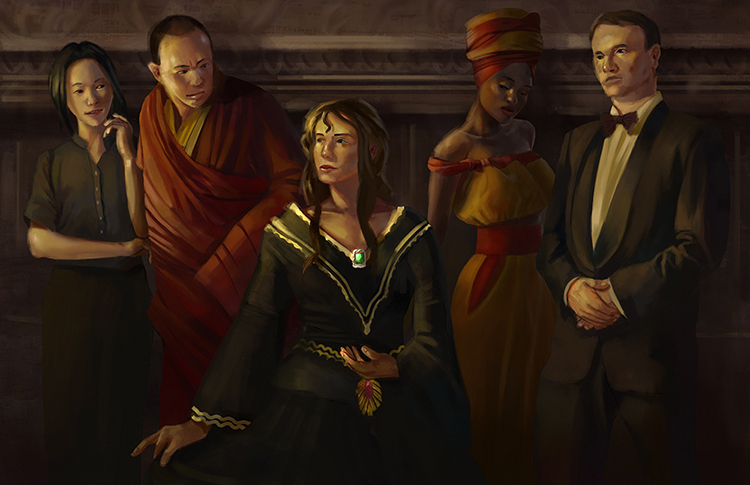 EXC looks like Jyhad diary is coming. not surpirsed maybe next month or two. If Mirthful Mike does not collapse, and WW is OK with the finished layout, we should be able to produce the Backer PDF pretty quickly after approvals. 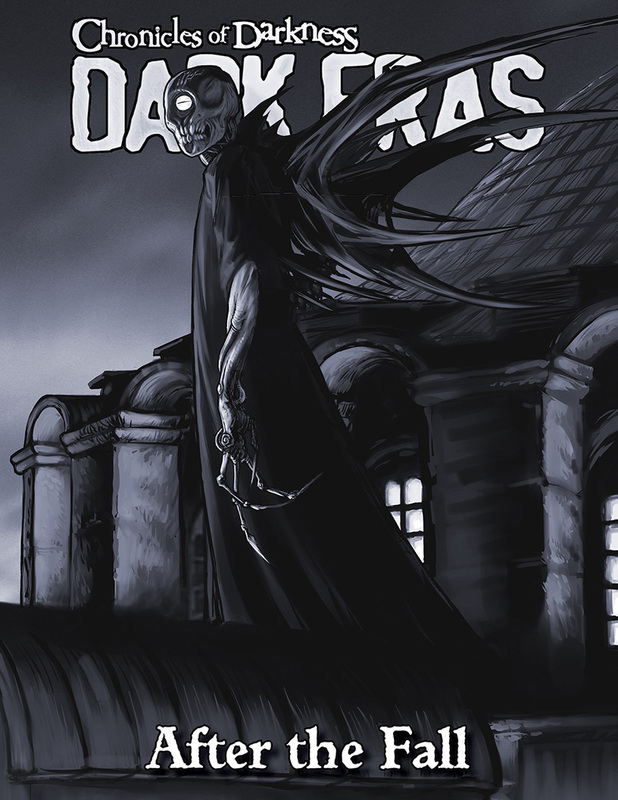 Check out the Backer Update for this month, and you’ll see some spreads and some final estimations on page count. Both are going to wow you! I notice both Scion and Trinity (the game I’m really waiting for) are both at the same stage of production. Does that mean when we finally see a Trinity Kickstarter it will probably be a fairly quick turn around to the published product? I second the motion for quick turnaround. Can we get that to a vote now? Please! 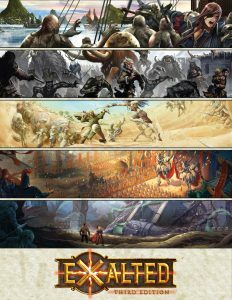 We’re going to try and keep things rolling at a much faster pace than what occurred with Scion, which has been challenged on both the pantheon expert and the adapting rules set levels. Trinity Continuum should not face those challenges, but I’m sure we’ll find some of its very own. What we are planning is to only have minimum change in the text for the books because of the KS. Will the Trinity books be adopting a traditional sized hardback book, or will you trying to format them into the smaller formatted books as they were in the first printing? Right now, the smaller size is more relevant to the project, so we’re likely to go that way. Does Dragon-Blooded being at WW for manuscript approval mean the text is done? Right- they are reading through the manuscript, which in this case means the same as the text. It is unfortunate the why, however, I know that with SL in OP’s hands it will do amazing things (as it was already). Excited to see where it is going to go. As mentioned above, WoTC’s setting with 5E is good and all for their campaigns, however, for someone who loves creating a ground up sandbox for his players, Scarred Lands has always just…well…provided. I’m also very excited about Wraith being where it’s at, although I was not a backer, I will be awaiting the PoD as this game is seriously special to me (and probably any other who plays it). Cavaliers is doing amazing! I’m proud to say this is my first backing of a project and had to…it wasn’t even a question of ‘if’ lol. Exciting things are always coming from OP and I’m thrilled to see what’s next! Seeing as Beckett is going to be the bridge between V20 and V5, out of curiosity will there be similar books for the other WoD lines as the new WW moves forward? Totally understand if that’s not something you can talk about yet, I was just wondering. Certainly, there is potential for something like that. We just have to pitch it and WW has to OK it. Arms in Proofing! YESSSSS. Can’t wait. Been waiting for this before starting up an Exalted Campaign. Me, too! Any word on what the page-count for Arms is going to be? Cryptically: bigger than we expected. Today in “What stage is KILLING IT!”. the winner appears to be DEVELOPMENT!!!! Ring _is_ pretty good…just sayin. Awesome to see all the Exalted progress! Is there an idea which part of the process Dragon-Blooded will be Kickstarted at? During editing, layout, etc. I would ideally love to get the KS rolling while we are working on the layout, but we’ll have to see where the progress on the book creation meets our available KS slots. 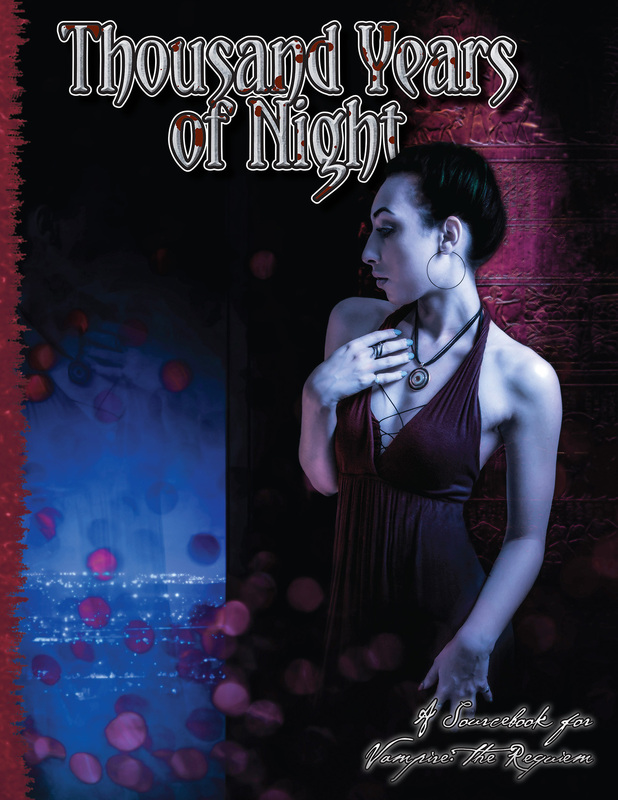 Is that WoD: Ghost Hunters book for Chronicles of Darkness or classic World of Darkness? WoD = World of Darkness. 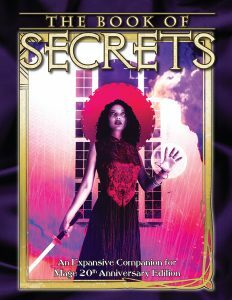 We are careful to label any Chronicles of Darkness books CofD.